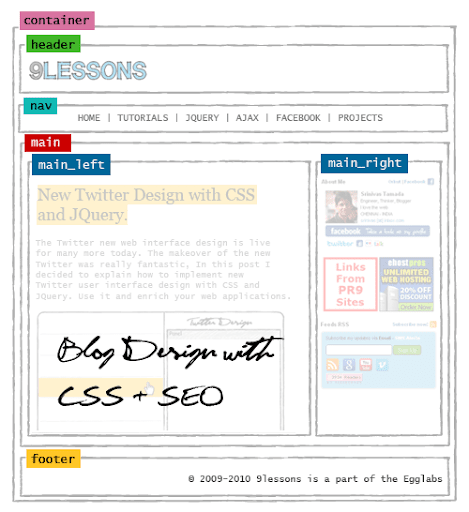 In this post I will show you how to design blog template frame with CSS and HTML step by step . 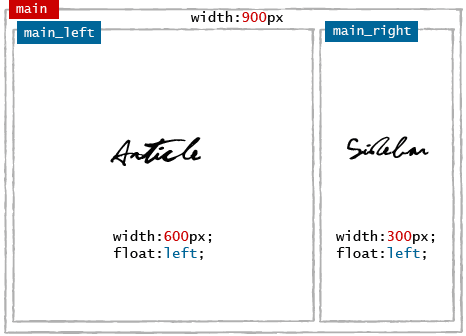 CSS helps you to design better and flexible webpage layouts. 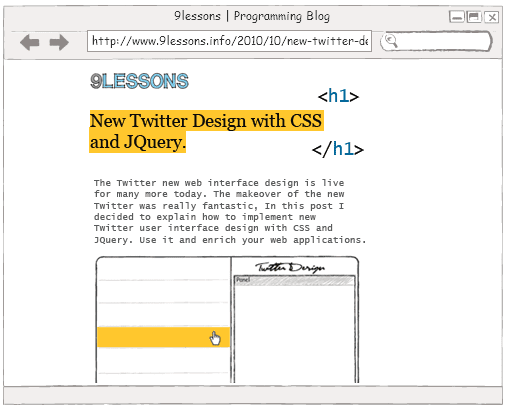 This is very basic CSS + HTML tutorial, CSS just awesome it adds flavor to the web page. 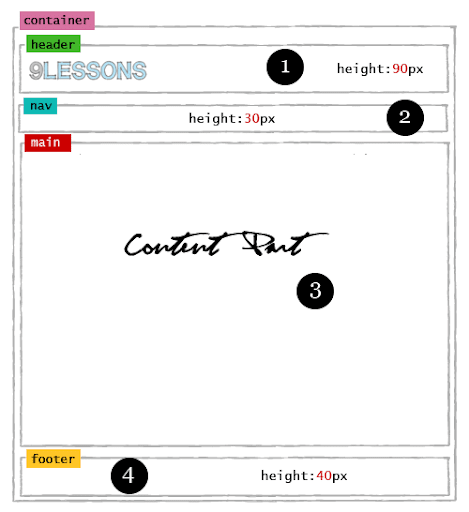 Web layout divided into four horizontal parts are Hearder, Nav, Main and Footer. Here Container is the parent div. But which is good? telling the measurements in pixels or in percentage?! @Revathi: I think that's how the habits and needs of course we want to use which? I suggest website design with pixels and mobile site design with percentage. why found I this tutorial so late! I have css problem alone too long. I came your blog from Indi..and your contents were awesome and i like your blog design..
You have a great blog. Just wondering, which software you use to make the graphics/images for tutorial, for example this post images? They look awesome. nice tut man just love it!!!!!!!!!!!!!!! can I use this blog design for wordpress? is it possible to display this page on iphone screen? Hi shrinivas nice info thanks now your free service.Hi shrinivas nice info thanks now your free service. Very detailed tuts! Thank you so much for the share. clear & impressive, thanks for the share ! Impressive coding, i was looking for a tutorial like this one. Great share. main_left and main_right?? why not main_content and main_sidebar.. what happens when main_left has to move to the right? hope u get my point.. Wonderful post though..
Great tutorial, Thanks for sharing.. Simple ! But worthy ! This tutorial's good, no doubt but kindly write one to code a custom Blogger template in detail. Thanks! :) Simple But Very Important . Really great breakdown and tips. thanks bro for understanding div. Thank you for the post...!!! great job !! thanks for sharing !! thanks for providing such a good tutorial...! 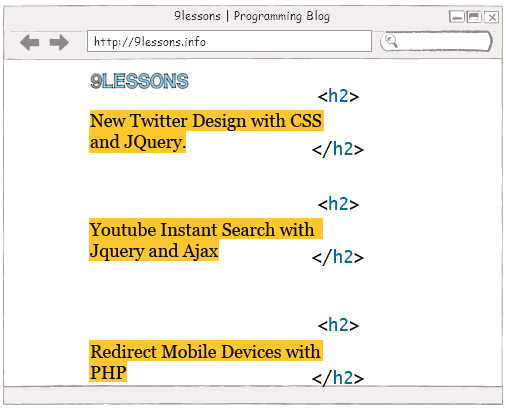 This is a good start for learning css and html. Can you upload responsive template? can you please tell me how to write child hover?